Coulter Applicator for deep placement of Telone products both broadcast and in-bed for mulched vegetables, strawberries, floricultural crops as well as turf and non-mulched row crops, such as cotton, peanuts and corn. Specialized applicators for delivery under existing mulch film in bedded crop. Fully contained delivery equipment for applications on golf course greens with almost no detectable disturbance to the turf surface. 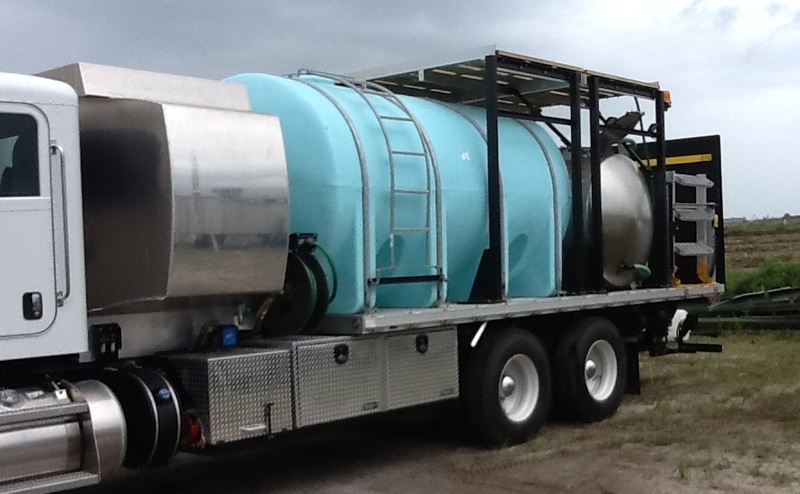 Specialized delivery systems have been developed and assembled for most of the currently available soil fumigants as well as products still in the experimental phase. Because we have worked closely with fumigant manufacturers, we have designed and developed state of the art delivery systems for most fumigants, including specialized minimal disturbance, precision delivery applicators for metam products targeting weeds in raised bed, mulch crops. “I have worked with John Mirusso and used Mirusso Enterprises equipment and services for over ten years beginning when he first began providing specialty equipment and support services to Dow AgroSciences. During that time I have always been impressed with the ingenuity of his designs and the quality of his equipment. His strong work ethic and honesty are the driving force of Mirusso Enterprises and he has never failed to deliver a product or service on time. Whenever I need parts, equipment or support services, I always turn to Mirusso Enterprises.” Dr. James P. Gilreath, weed scientist and soil fumigation expert, University of Florida – retired. • Effectiveness of Broadcast Application of Telone C-35 and Tillam + Devrinol in Tomato: Proc. Fla. State Hort. Soc. 115:276-280. 2002.